$23,000 raised in the 2015 JavaJog for a Cause has been awarded to two organizations working to better the lives of women in coffee growing communities in Ethiopia: Grounds for Health in partnership with Sidamo Coffee Farmers Cooperative Union, and the Girls Gotta Run Foundation. More than 200 runners and walkers collected the funds that will now be used to support two inspiring projects and benefit nearly 2000 women in Ethiopia. Grounds for Health – $18,000: In Ethiopia, Grounds for Health is partnering with the Sidama Coffee Farmers Cooperative Union (SCFCU) as well as the Sidama Zone Health Department and Regional Health Bureau of the Southern Nations, Nationalities and Peoples’ Region (SNNPR) to establish a cervical cancer screening and treatment program, addressing a critical gap in women’s health services in Ethiopia, where there are approximately 20 million women at risk for cervical cancer and 5,000 preventable deaths expected in 2015. Funding from Java Jog would be used to reach 2,898 women aged 30-49 in the communities of the Telamo Coffee Cooperative with education and direct provision of screening and treatment services. Funds will cover professional services, medical supplies and procedures, medical equipment, training, and various other costs associated with the screening and treatment program. Girls Gotta Run Foundation – $5,000: The GGRF Savings Group Project will establish savings groups with women in coffee growing regions, providing them with greater access to financial resources, business training and female mentorship. As a result, these women will be better able to invest this saved money back into their community through micro-loans and grants to small businesses. The proposed GGRF Savings Group Project will work directly with disenfranchised and at risk women in coffee growing regions in Ethiopia, building upon their successful GGRF Athletic Scholarship Program, increasing community impact. The JavaJog grant funds will support 55 women, providing financial security for their 275+ family members. The funds will directly impact roughly 350 community members. The JavaJog Organizing Committee is looking forward to getting the funds on the ground so that our efforts can make a difference in so many women’s lives. Thanks to the many JavaJoggers and their supporters who have made this possible. Plans are underway for the 4th Annual Race to take place in Atlanta in April 2016. JavaJog is pleased to announce the members of the 2015 Grant Review Committee! All three members continue their service from 2014. The Committee is convened by the JavaJog Advisory Council to ensure a transparent and credible grants selection process and is made up of independent external experts who review proposals and make recommendations to the Advisory Committee on the programs to be funded. This year’s committee is made up of three members, with background in the coffee industry, development arena, and individuals with direct experience in East African coffee and development programs. Charlene Lewey, President-Lodestar Consulting, Board Chair Food4 Farmers: Charlene recently formed Lodestar Consulting which is focused on financial management, sales and broker management, revenue optimization, trade promotion effectiveness, pricing strategies and development of operational processes to support efficient and effective selling. This was after a 16 year career at Green Mountain Coffee Roasters (now Keurig Green Mountain) where she was Sr. Director of Order to Cash processes. She has also served as Treasurer on the board of directors for the International Women’s Coffee Alliance and is currently Chairman of the Board of Food4Farmers. These organizations are both focused on increasing economic opportunity for coffee growers to enable them to achieve sustainable livelihoods. 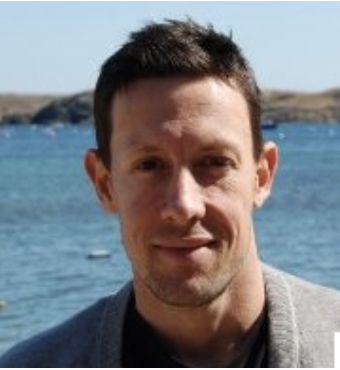 Nate Schaffran, Senior Vice President of Lending, Root Capital: Nate oversees Root Capital’s lending operations in Latin America and Africa. He previously served as Root Capital’s Vice President for Africa from 2007-2012, launching our operations on the continent, opening regional offices, and building a $20M portfolio. Nate has previously worked in value chain sustainability at Cooperative Juan Francisco Paz Silva in Nicaragua, and at Fair Trade USA. He holds an MS in Foreign Service from Georgetown University, and BAs in Economics and Political Science from Swarthmore College. George Watene, Monitoring & Evaluation Manager, 4C Association: George is responsible for managing and strengthening the M&E function in the 4C Association. This includes overall development and management of the M&E program, defining intended change, organizational learning from the program, reporting and stakeholder liaison. He is also the contact point for issues and questions relating to the program. Prior to joining 4C Association George was the Regional Certification Manager at Technoserve’s East Africa Coffee Initiative and before that he served as the acting General Manager of Africert Limited. 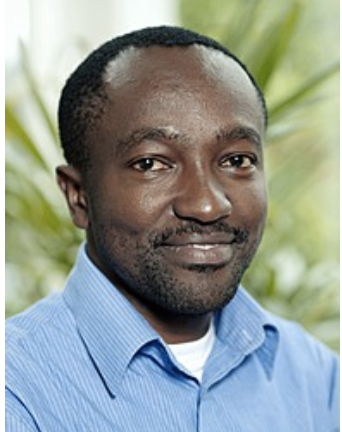 George holds an MSC in Environment and Resource Management from the Institute of Environmental Studies (IVM), Vrije Universitiet, Amsterdam, and a BA in Economics and Sociology from the University of Nairobi. We are grateful to these individuals for their service and support of JavaJog! Funding Proposals Now Being Accepted! WOW ~ This year’s JavaJoggers raised $25,000 through donations from friends, family and colleagues from near and far! Now its time to embark on the grants process that will decide which worthy projects will receive the funds. We have already invited several organizations to submit proposals, and the process is open to others that meet the criteria described in the grant protocols. Please help spread the word! 3rd of August: recipients announced. Signing of contracts between JavaJog and Grant Recipients. We look forward to receiving and reviewing proposals for this year’s funds, and keeping the JavaJog community apprised of the progress. Thanks for all you do, JavaJog supporters! …But what you can do for Ethiopia’s coffee women.” These words from Elizabeth Goldblatt of Six Degrees Coffee have been key to her fundraising success. She has so far raised $3,500, surpassing her goal of $3,000. Elizabeth continues to seek donations and challenge others to help us meet our goal of $40,000. Donations for JavaJog for a Cause are being accepted through April 30th. Elizabeth’s motto #justask and assuring that no donation is too small – have encouraged her supporters to make donations ranging from $10 to $500. “Coffee connects us. Its so vital, if we don’t take care of origin, we’re in deep trouble. Everyone can contribute.” This is the second year that Elizabeth has won the top-fundraiser award. We thank Baratza for the generous donation of the grinder and Elizabeth for her fundraising prowess and tenacity! Well done! The 3rd annual Java Jog for a Cause was held Friday morning, April 10, 2015 at South Lake Union Park in Seattle. Nearly 200 runners joined the early morning 10k/5k run which brought together the coffee community for a fun event that helped raise money for a great cause. This year, Java Jog fundraising efforts will benefit the women of coffee growing communities in Ethiopia. To date, team and individual runners have raised nearly $25,000 for the cause. Funds raised from Java Jog 2015 will be invested in organizations that work locally to address issues facing Ethiopian women in a variety of areas such as health, productivity, training, leadership, and advocacy. Java Jog organizers are working with coffee partners on the ground in Ethiopia, identifying potential recipients for this year’s funds. Key groups have been invited to submit proposals, which will be reviewed by an independent committee. Reports of the use of the funds will be made public on the Java Jog website. “Our goal with Java Jog is to help empower women in coffee-growing communities as they struggle against political turmoil, domestic violence, lack of education, insufficient access to healthcare, and much more. We are thankful to all the sponsors, supporters, and runners of Java Jog 2015 whose efforts will benefit the women of Ethiopia,” said Kimberly Easson, one of the founders of Java Jog. Java Jog for a Cause was established in 2013 by Easson, Beth Ann Caspersen, and Aimee Russillo. The Founders’ Run was held in Boston with 15 runners and raised $7500, which was donated to the women’s committee of the Sopacdi farmers’ cooperative in South Kivu, Democratic Republic of Congo (DRC). Java Jog 2014 benefitted coffee-farming women in the DRC as well. Java Jog for a Cause 2015 is generously sponsored by Starbucks, Metad Plc, Equal Exchange, Baratza, Spark Coffee Technologies, Schluter, Equator Coffees & Teas and Roast Magazine. Donations will continue to be accepted until April 30. To support the cause, visit the JavaJog Crowdrise site. To learn more about the cause, visit JavaJog.org. 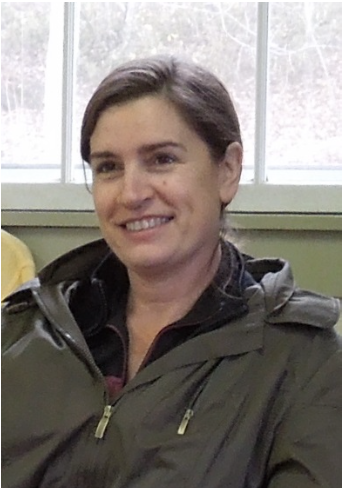 Laura Everage is a writer, editor, and the founder of FamilyEats.net. There is still time to support this year’s JavaJog at SCAA! Run, Walk, Donate, Volunteer! We’ve set a HUGE goal for JavaJog 2015. We need your help! Last year the coffee community (YOU!) 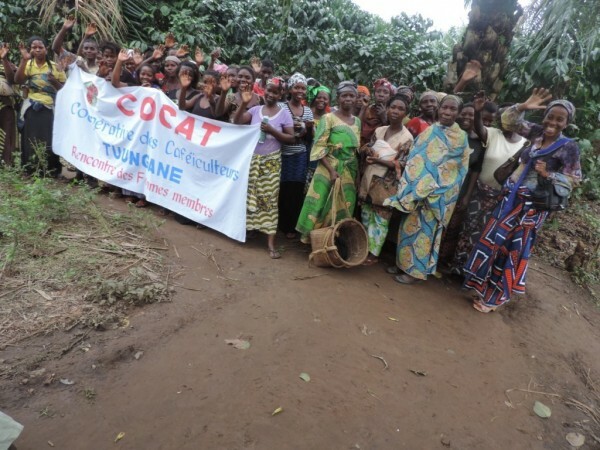 raised more than $35,000 for women in the Eastern Democratic Republic of Congo (DRC). That’s BIG. See how your money has made a difference. Please help us reach our 2015 goal! We have about ten days to go before the race and we’re at 25% of our $40,000 goal. Every penny raised* (including race registration fees) goes to the cause. The JavaJog Organizing Committee has put in hundreds of volunteer hours to bring this race to you, and our generous sponsors have covered the race costs. We love the fun and spirit that specialty coffee JavaJoggers bring to the race. A friendly reminder of the purpose of JavaJog: fun, celebration, raising-awareness and fundraising. That is why it’s called JavaJog for a Cause. Ethiopian coffee women need your support. Ethiopia is the fifth largest coffee producing country in the world, and while the situation of women there does not make for dramatic headlines like it does for the DRC, coffee women too often live in pretty dire circumstances. Learn more here. How your donations will be spent… Below are two likely organizations that will receive JavaJog 2015 funds you raise. We’ve invited three other organizations to apply so far, and our proposal process is open. Read about our grant protocols here. Fundraising can be fun and inspiring. Think of the women – and how their faces light up knowing they’ve been recognized, knowing that they’re connected and have a chance for a ‘leg up’ through JavaJog support. Your support makes a difference. Reaching our goal is easy with your help! If every registered runner brought in another $200 we’d easily reach our goal. That’s pretty easy – here are some tips for how you can bring in donations. Thank you for being a part of JavaJog 2015. Think of the pride you’ll have, sporting your stylish, eco-conscious JavaJog t-shirt – and – knowing you contributed to the advancement and wellbeing of our coffee sisters in the birthplace of coffee. We accept cash, checks and visa through Crowdrise. Feel free to bring a check or cash when you pick up your race packet, April 9th or the morning of the race. See you April 10th bright and early. Rock On, JavaJoggers. We appreciate you immensely. JavaJog 2014: Where’d the Money Go? This grant built new tables and stools for sorting that are more ergonomically correct and comfortable. In addition, a solar lighting system was installed, enabling the women to see better, especially during the rainy season. Virunga has worked diligently to implement the funding and started out by building two different kinds of sorting tables as ‘model’ tables to try out for a short period of time. Once they determined which table was better, based on workflow and feedback from the women, local woodworkers constructed 16 tables. Each table can accommodate four women sorting coffee, for a total of 64 women (only a modest 25 table spots were initially requested). The dimensions are designed to allow enough space for the handling of coffee with comfortable body positions. Partnering with the Tufaidike cooperative in the Minova region, ECI is working to integrate women into the cooperative’s decision-making structures. To support this objective, 23 sub-group leaders within Tufaidike will travel with the cooperative management team to Rwanda between March 31 and April 1 for a learning visit to two prominent coffee cooperatives, Huye and Simbi. Eleven of the 23 traveling sub-group leaders will be women. The Tufaidike representatives will build a stronger understanding of coffee processing in washing stations, and focus on the importance and benefits of effective and inclusive cooperative governance. Following the visit to Huye and Simbi, these cooperative members will be hosted by the Rwanda Trading Company in Kigali on April 2 to learn about the coffee cupping process, as well as farming practices that can improve quality. What happens if you harvest great quality coffee but you don’t have anywhere to process it? This is the situation that many farmers face in the DRC and it is one of the many reasons we chose to fund the the International Women’s Coffee Alliance project to support women coffee farmers in Lubarika village, Ndolera village and Uvira Territory to build their own coffee washing station. The $20,000 grant, along with additional outside funding provided by Food for the Hungry USA, has allowed for a range or equipment purchases for processing infrastructure. Chantal Binwa, president of both the Tuungane Coffee Growers Cooperative and and the IWCA’s DRC chapter, happily reports that the project is nearing completion. They have finished building the water filter for the washing of coffee; the water reservoir of the washing station; the shed for cherry reception; a sink for cherry reception; the shed for cherry machinery; fermentation sinks; a coffee grader and washing canal; sinks to soak coffee; and cherry machinery installation. These updates to the washing station will allow for the processing of approximately 450 kilos of cherry during the harvest season, from coffees grown by some 1,500 female smallholder farmers from the Uvira, Walungu and Fizi territories. Just as important, it will allow the women of the cooperative to further their position in society through economic empowerment. 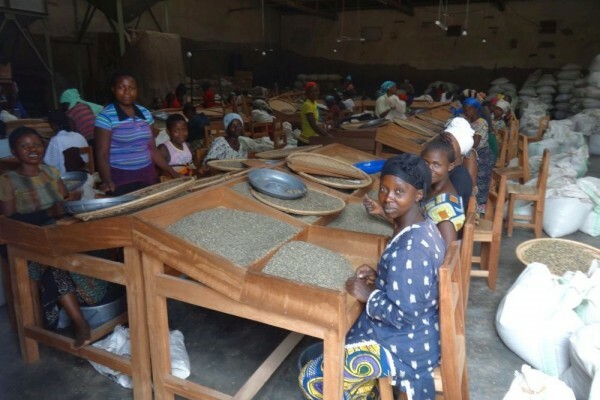 The $35,000 raised in 2014 allowed for some significant steps in the empowerment of women in the DRC and the development of the coffee segment’s industry as a whole. We humbly ask for your support in 2015, as each contribution from each jogger represents more and bigger steps toward positive change in the supply structure, and improved opportunities for women that benefit everyone involved. One of the good things about JavaJog are our t-shirts! We placed an order for 300 mens and women’s tees this week. Like last year’s shirts, these tees are fairtrade and organic – from Freeset. “Freeset tees are made by women in Kolkata, India who were once marginalized and trapped by poverty and prostitution. Freeset has given them an alternative – a way to find freedom. They have learned new skills and now earn a respectable, shame-free living making tees for you!” Read more about the story here. Last year, JavaJog participants remarked at the style and comfort of the shirts. Our women JavaJoggers in particular, were pleased by the sculpted design with a scoop neckline and cap sleeves, which has been repeated for this year. Pick-up your JavaJog 2015 t-shirt and race packet in the main registration area at the SCAA Expo in Seattle on Thursday, April 9 from 2:30 – 5:00pm. Here is a sneak peak at the shirt design!! This year, our courageous volunteers get their own shirt to help them stand out in a crowd! JavaJog for a Cause organizers welcome 2015 sponsors for the third annual run in Seattle to benefit coffee women in Ethiopia. Starbucks and Metad Plc have signed on as Gold sponsors for the event, with Equal Exchange, Baratza, Spark Technologies and Schluter providing Silver level support, and Equator Coffees & Teas as Bronze level support. Roast Magazine is our Media Sponsor. JavaJog 2015 will be held April 10, starting in Seattle’s South Lake Union Park. “We are grateful to all our sponsors for this year’s race, says Kimberly Easson, co-founder of the event, which was launched in early 2013 by Easson, Beth Ann Caspersen, and Aimee Russillo, as a way to bring together fun and fitness in the coffee community – all to benefit a great cause. “With their generous support, we are able to bring the race to Seattle, and help us reach our goal of $40,000. JavaJog is still welcoming additional sponsors and runners for the event,” she adds. Last years event brought together more than 200 runners and walkers who raised more than $35,000 for women in the Democratic Republic of Congo. “The support from our sponsors, Starbucks, Metad, Equal Exchange, Baratza, Schluter, Spark Technologies, Equator and Roast Magazine will go a long way in helping us raise awareness and funds for women in coffee farming communities in Ethiopia,” explains Easson. JavaJog’s ‘Founders Run’ was held in Boston, April 12, 2013. Fifteen runners participated, raising $7500, which was donated to the women’s committee of the Sopacdi farmer’s cooperative in South Kivu, DRC. 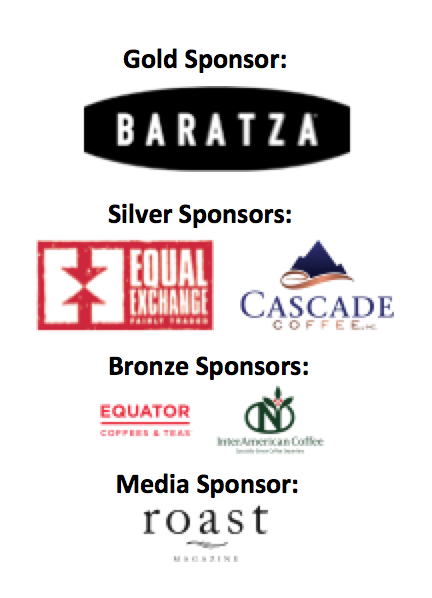 For more information about our sponsors, visit Starbucks, Metad Plc, Equal Exchange, Baratza, Spark Coffee Technologies, Schluter, Equator and Roast Magazine websites. To sign up for this year’s run, or to support the cause, visit the JavaJog Crowdrise site. For more information about the cause, visit JavaJog.org. For more information about the race or sponsorship opportunities, contact javajog@gmail.com or 202-657-5788. Thanks for this report Chris, and CONGRATULATIONS to Chantal and her leadership with the farmers to make this dream become a reality! !